Joanie felt that she should be featured in our art this week. She also insisted on a puzzle. It took me 22 minutes and 16 seconds to complete it- I am sure everyone can beat that. 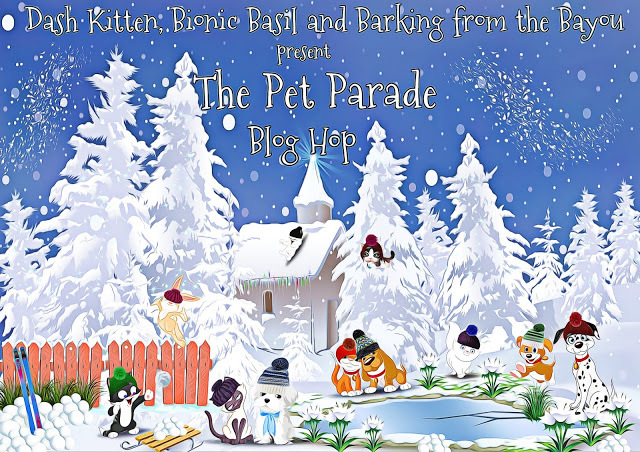 This entry was posted in Art, Blog Hops and tagged Athena's Caturday Art Blog Hop, Joanie, Lunapic, online jigsaw puzzle, the pet parade blog hop by pilch92. Bookmark the permalink. Joanie I agree that you deserved to be the subject of Athena’s Art Blog today! You look grand too. Very pretty, Joanie. I love the colors… like the colors in the Tiny Casa! Thank you for the puzzle, I guarantee it will take me longer than 22 minutes and 16 seconds! Lovely! And I think that sounds like a pretty good amount of time to solve a puzzle. Be well! That’s very cute sweet Joanie! Great photo and super puzzle. Mom did it in 21;19. About the same as your Mom! That is lovely art. Thanks for the puzzle, I will go and do it later. Cute Joanie! Terrific puzzle, thanks! And a puzzle too. Awesome. We love your picture Joanie and your puzzle was a hole bunch of fun! 14m 26s for the puzzle, thank you. Joannie, I’m so glad you made it through your procedures. Pawhugs to you. That is some cool art. You have become a lovely work of art, Joanie! That is some very nice artwork. We love how Joanie’s eyes stand out. I don’t blame Joanie. She’s so pretty. Joanie looks good all artified! Joanie, you are beautiful! And your art is beautiful! And your puzzles are so much fun! Okay, i am going to try the puzzle again this week. Paws crossed.